I just got the new Charge Scissor V2 frame through. 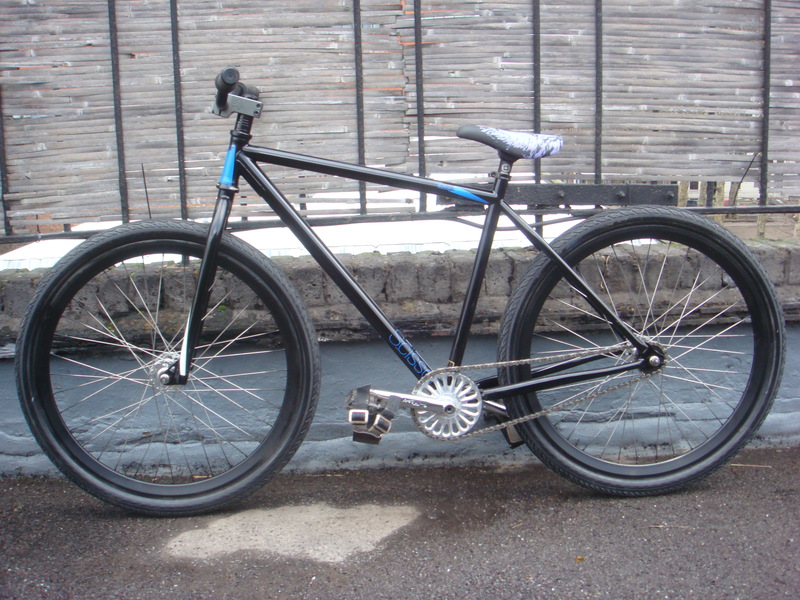 This is the production model of the frame I’ve been riding for a few months. The head tube and seat tubes are shorter but the top tube remains the same. Just one point: This frame is designed for 700c wheels so the bottom bracket is rather low with these 26 inch wheels. I’m eiher gonna be trying some shorter cranks or swopping back to the 700s. All I need to do now is get back into riding the bugger! 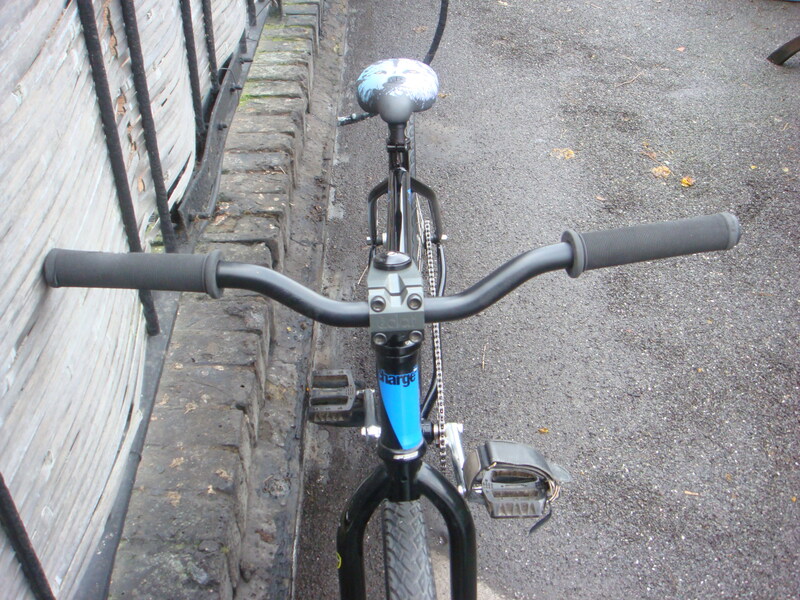 Been riding BMX a fair bit whenever the weather has allowed. When I went out on the fixed gear last night to try it out I totally sucked. It really does look like a big BMX bike with the 26’s on. Throw some 700’s on it! i think i liked the older paint job (the grey and blue) more but it is still nice. i cant wait to get mine, yours is looking great too! us three ladies are in the wolfpack, no? I approve. Nice ride, what type of bottom bracket does this have… Not sure about the 26″. I now a lot of riders are going this way but 7oo jut look right. 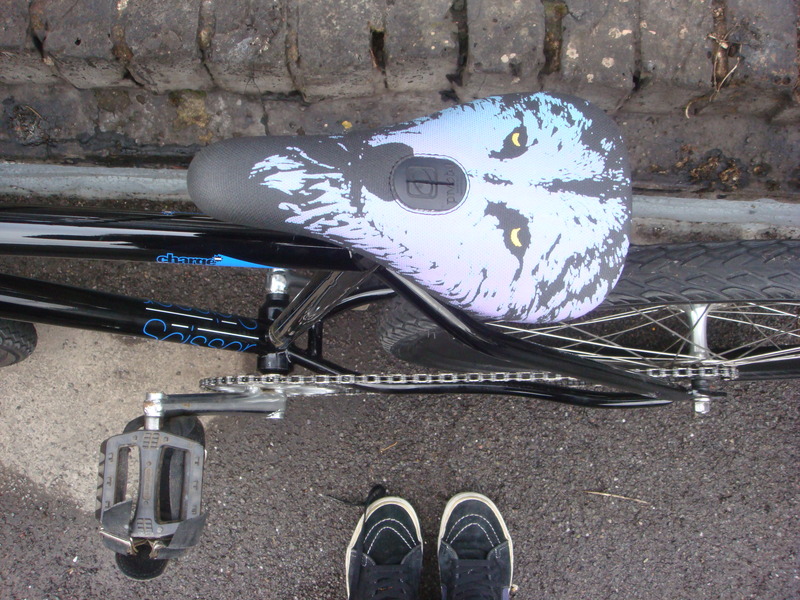 Great saddle…..
Er I mweant to ask what BB Shell deoes the frame have… been a long week. Roll on the weekend and a long ride to blow the work cobwebs away!!! hey why is it sooo slanted tho? i dont get it.. is it cus shes using 26? that’s the design of the frame. Coz it’s a trick specific frame. And it’s got two wheels of the same size on it so that wouldn’t make it slant! Spanish bottom – gotcha. enjoy your trip! I’m running 160s on my v1 Scissor, and I have a lot less pedal strike issues. It’s still pretty hard to fakie with though. Give it a try if you can get access to 160s! Scissor fork 2011 infinity tange or prestige tange? Hey! 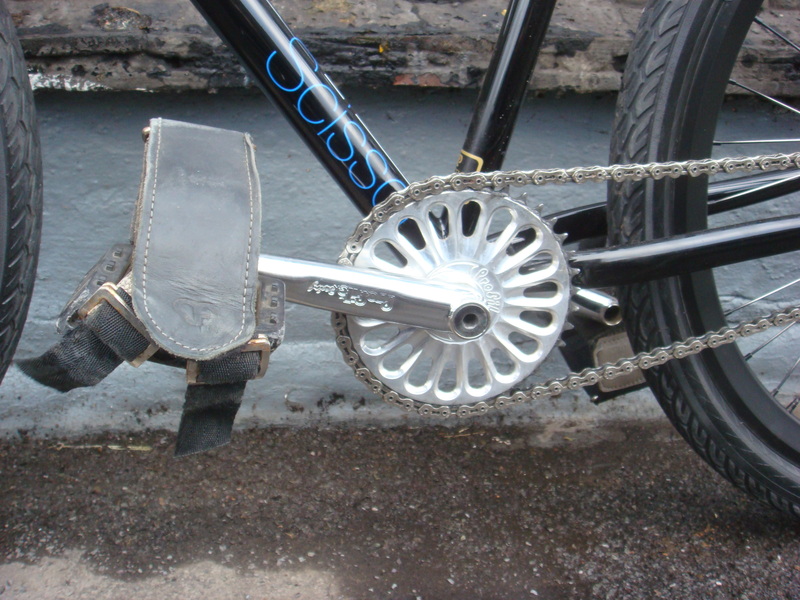 The Scissor comes with a 25T crankset, do you know if there is clearance for a bigger chainring? Might be a bit small for general non-trick riding. Thanks!! yeah, there’s clearance and it’s a bmx crank so you could space out the arms.